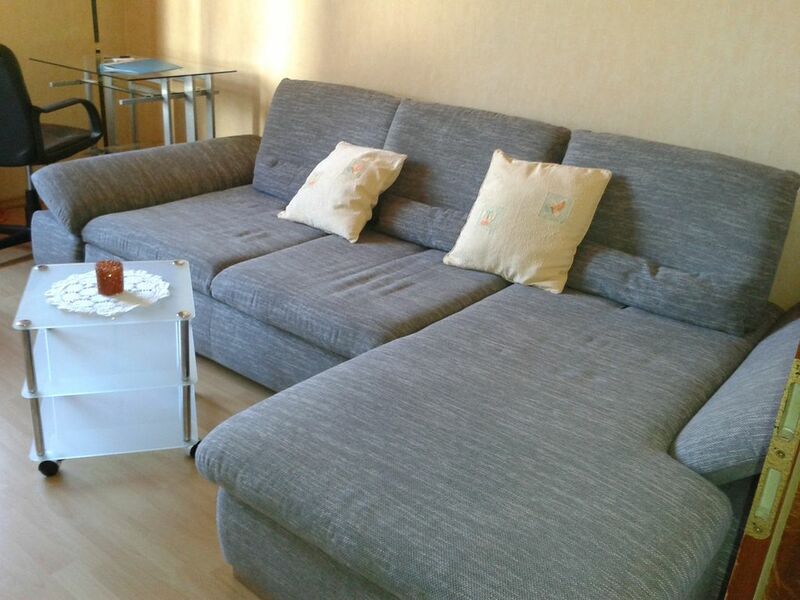 This apartment is located in the countryside and is ideal for 1 - 2 people. In a neat apartment house - in Mülheim -Ruhr - Broich - from 1905 which was renovated in 2000, the character of the building was preserved. Here we offer several spacious 2 bedroom apartments plus kitchen and bathroom (window) on the ground floor with 50 sqm and 1. Floor 35 sqm living space. The house is located in a quiet cul-de-sac in the (30-zone). Car parking space in front of the door. The Müga with its many opportunities for play and recreation can be reached within a 2-minute walk, as well as the easily accessible Stadthalle, Schloss Broich, Ringlokschuppen and Wasserbahnhof. 901 can be reached in 5 minutes. HRW within walking distance to reach. Soundproof windows in the kitchen and bedroom protect you from the influences of the street. From the sunlit cozy living room. You have the view in the garden with terrace and garden furniture for use. This apartment is ideal if you want to live quietly, yet conveniently. The Appt. is centrally located. as well as the town hall with garden in a few minutes walk.